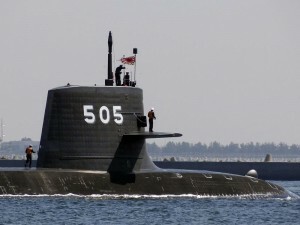 The fifth Japanese submarine of the Soryu-class is refereed as SS-505. The name assigned to her is Zuiryu, which means Auspicious Dragon in Japanese. She was laid out on 16th March 2009, and launched on 20th October 2001. 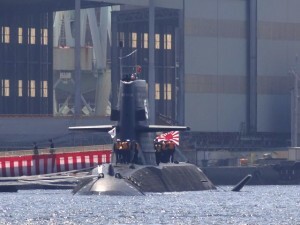 She belongs to the macro-project S131 of Soryu-class and has the building number 8120. She was finally commissioned on 6th March 2013 and has her operative base in Yokosuka port. 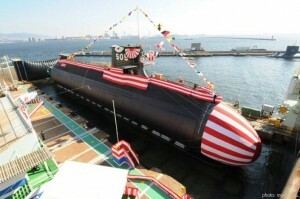 SS-505 Zuiryu leaving Yokosuka port. another shot of the SS-505 mooring at Yokosuka port.